Well.. Eyes as Big as Plates is an artistic venture which could also be called Old People With Things On Their Heads .. that really is it. A fantastically quirky and captivating set of pictures that I love. 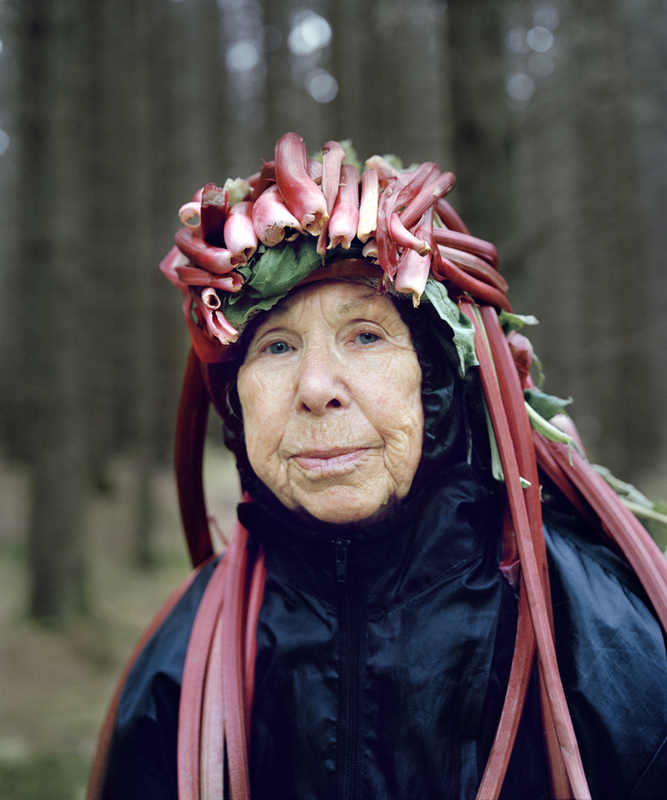 Eyes as Big as Plates is the ongoing collaborative project between the Finnish-Norwegian artist duo Riitta Ikonen and Karoline Hjorth. Starting out as a play on characters from Nordic folklore, Eyes as Big as Plates has evolved into a continual search for modern human’s belonging to nature. The series is produced in collaboration with retired farmers, fishermen, zoologists, plumbers, opera singers, housewives, artists, academics and ninety year old parachutists. Since 2011 the artist duo has portrayed seniors in Norway, Finland, France, US, UK, Iceland, the Faroe Islands, Sweden and Japan and Greenland added to the list in 2015. Each image in the series presents a solitary figure in a landscape, dressed in elements from surroundings that indicate neither time nor place. Here nature acts as both content and context: characters literally inhabit the landscape wearing sculptures they create in collaboration with the artists. To see more like this check out the carousel of images or the Eyes as Big as Plates blog for their latest adventures!